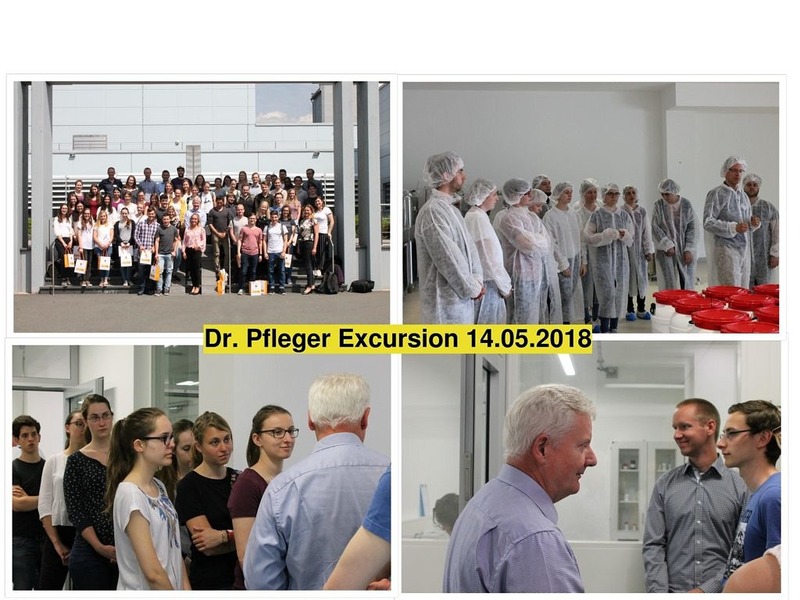 The third career-day “Pharmazie erleben” took place on the 14th of May 2018 at the company Dr. Pfleger in Bamberg. The students attending the practical courses this semester had the unique chance to get in touch with the daily processes in the pharmaceutical industry. This included a guided tour through the departments packaging, production and quality control. Another interesting topic was the presentation of experience by former preregistration interns. A lunch brake provided a pleasant atmosphere for dialogue. We thank Dr. Pfleger for making this great, informative and interesting journey possible!